Then their two-day fan meeting in Manila was announced. And my kpop fangirl friends went crazy! I wasn’t planning on going, however a few days before the fan meeting, I was given the chance to cover the event for Day 1 and I took the opportunity. It was C-R-A-Z-Y! 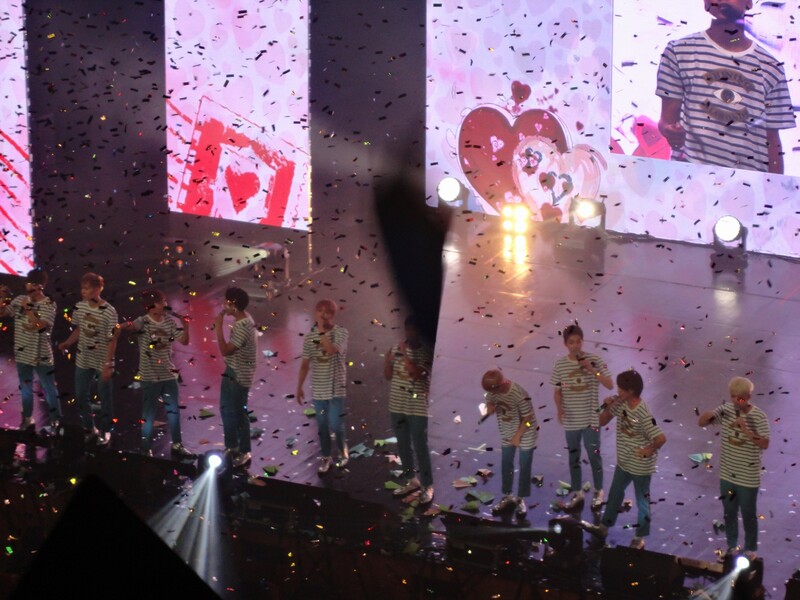 Seventeen started the night with flawless dance performances and lovely greetings for their Filipino fans. Day 1 was packed and the screams were so loud. I had to take the organizer’s advice when I picked up my media pass to wear earphones. I guess one thing that never fails to amaze me each time is how warm and ecstatic Filipino fans welcome kpop artists. It was endless screaming from start to end. Fan chants were so loud and fans were unitedly singing and dancing along, especially during “Adore U” and “Mansae.” Part of me wished I was a full-blown Carat, too, so I can sing and chant with them. Carats got to know Seventeen more with the Q&A portion which turned out to be a fan service segment as well. 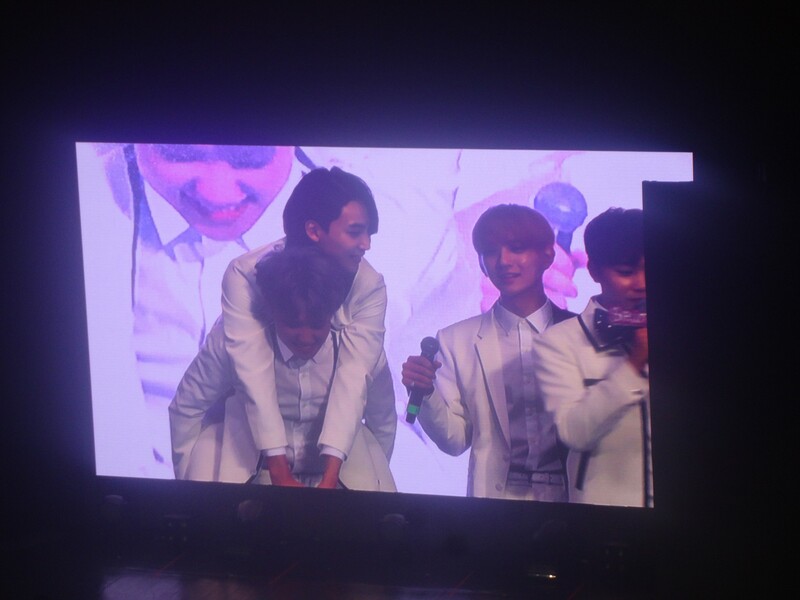 The members of Seventeen gamely danced to girl group songs, did aegyo, and made the fans scream with OTP moments. I like how Seventeen tried so hard to interact with their fans and listen to the audience requests. The charades game they played where words would be flashed onscreen and one member had to act out that what it was while the rest tried to guess the word was really fun. I found myself laughing along with the fans and enjoying it. Little by little, I was starting to remember the names of the members and recognizing their faces one by one. It was almost time for the fan meeting to end and Seventeen finished off with performances of “Pretty U,” “Pop Song,” etc. and I realized that they do have that quality in them to be called hot rookies. Their songs which they compose themselves are really catchy. Add to that the vocals and dance performances which truly stand out because of the unique choreography and arrangement. I was told they also do the choreography themselves and it makes me admire the hard work put into each song by all the members. They truly deserve the popularity they are experiencing now. However, the highlight of the night for me was at the encore stage when PH Carats threw paper airplanes towards the stage as a fan project for Seventeen. The members reactions were priceless. It was a mixture of happiness and surprise. I was so touched myself. It made me realize that fan projects were really just more than what they are, but they were messages of love from the hearts of fans towards their favorite idols. I’m definitely sure Seventeen will be back to Manila again in the years to come. For Korean culture and entertainment enthusiasts, Korea is definitely at the top of their must-visit countries list. Just imagining yourself walking down the streets of Seoul or basking in the beauty of Jeju is enough to make your heart flutter. Not to mention being able to go to the exact places where your favourite Korean drama was shot, or greater yet, being able to see your favourite actors and Kpop idols — traveling to Korea is truly a dream a lot of people want to achieve. But what happens when you finally book that plane ticket? 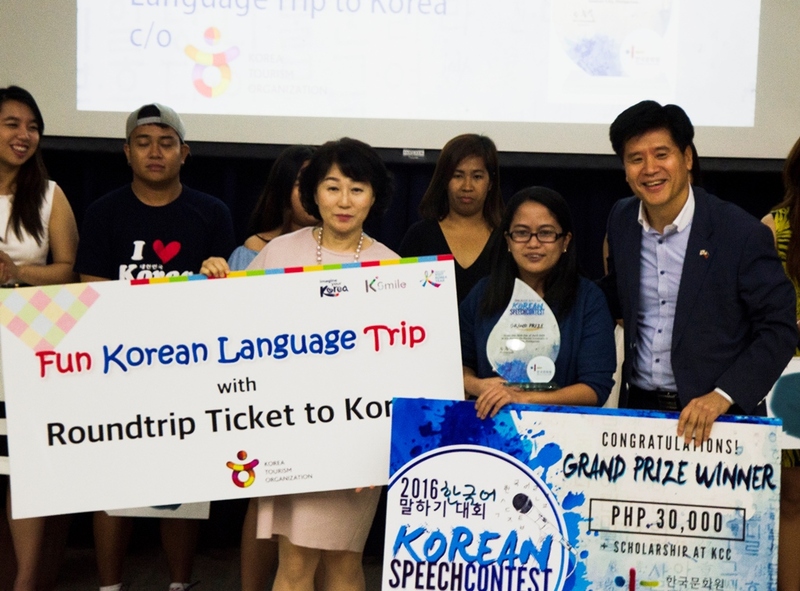 The Korea Tourism Organization (KTO), in partnership with the Korean Cultural Center (KCC), organized the “Let’s Go Korea Travel Seminar” for those who will travel to Korea this year. Held last May 14, 2016 at the KCC Wave Hall, the seminar was hosted by Mr. Don Bonifacio. 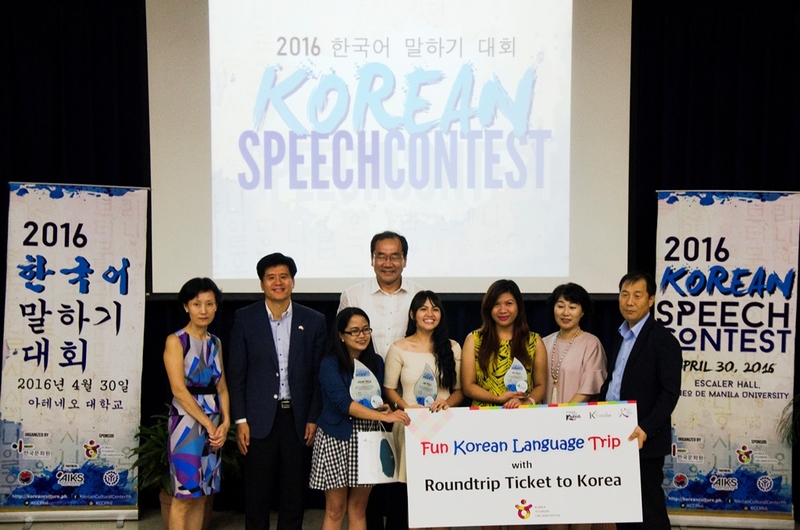 The event brought together travelers of all ages, both male and female, mostly whom are first-time travelers to Korea. Mr. Jinho Park, Manager of KTO Manila, gave the Opening Remarks. He expressed his gratitude to all the attendees for supporting the event with much enthusiasm since they originally intended to invite only 60 people but 110 people attended the seminar. The first part of the program was about Basic Information about Korea which was discussed by Ms. Hyejin Jang, Senior Assistant Manager of KTO Manila. She talked about essential things a traveler needs to prepare before his or her trip to Korea including flight options, visa guidelines, local transportation information, and even useful smartphone apps, websites and hotline numbers for tourists. Of course, she also highlighted must-visit attractions, including the recently very popular shooting locations of Descendants of the Sun. KTO also invited special guests to talk about their travel experiences in Korea during the Imagine Your Korea: My Story portion. The first guest was Ms. Gigi Yia, Editor-in-chief of Sparkling Magazine, who has been going back and forth to Korea since 2009. First, she showed a short video of her last Korea travel which gave the attendees a very interesting snapshot of what travelling to Korea would be like. She talked about her favorite cultural destinations like the Han River Park, N Seoul Tower and Insadong; and Hallyu hot spots like Understand Avenue and Studio Concrete. Being a Descendants of the Sun fan, she also shared her experience in attending Song Joongki’s fan meeting and her visit to a restaurant where an episode of the drama was shot. The audience also had a chance to watch a Kpop Cover Dance by one of the top multi-awarded cover groups in the Philippines, Se-Eon. They showcased their amazing dance moves of BTS’ Run, I Need You and Fire. It was a real-life taste of Kpop entertainment which for sure made the audience more excited to visit Korea. After that Ms. Kring Elenzano-Kim, the winner of ABS-CBN’s reality show I Do, came out to introduce and interview the Korea Tourism Honorary Ambassador Ms. Jessy Mendiola, who was absolutely lovely in a traditional Korean hanbok. When asked what she loves the most about Korea, she said it’s the people’s warmth and the balanced culture of tradition and modernity. During the interview, she enthusiastically shared her special experiences in Korea to the audience like putting love locks in N Seoul Tower, watching lights parade in Everland, learning how to make kimchi, and jogging by the beach in Jeju Island. In the future, she also said she wants to visit Busan, experience winter in Korea and interview her idol, Song Hye Kyo. 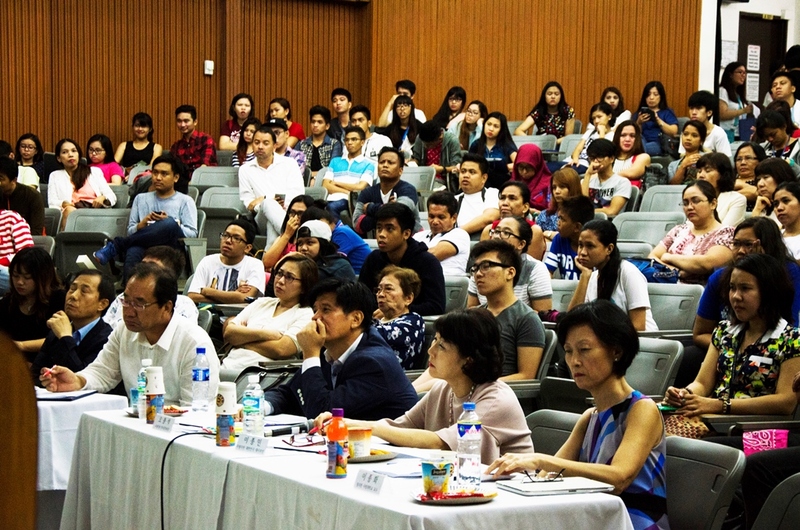 Afterwards, audience members got a chance to ask our speakers questions and win raffle prizes. There was also a photo op with Jessy as she gamely takes a group selfie with the audience. Then, of course, the Let’s Go Korea Travel Seminar ended with a sumptuous buffet of Korean cuisine which everyone enjoyed. Each of the participants went home with happy hearts (and stomachs), excited for their upcoming travels to Korea.